The Web Summit 2014, which took place in Dublin in early November, showed us another initiative in the field of putting startups and corporations together. The Coca-Cola Company, which has been partnering with mature startups for a while, went public with its year-old platform called Coca-Cola Founders, a new approach that involves working with particular founders before they actually launch a startup. What comes as a surprise is that the platform’s website clearly states that it does not accept applications. Coca-Cola sees it as a way to attract experienced founders, hand-picked by a team led by Butler. The corporation provides access to its various assets along with some seed stage funding in the form of convertible note, while the chosen founders are free to solve any problems around them, no matter if they’re related to Coke directly or not. As of December 2014, Coca-Cola has founders working in nine cities around the world, including Sydney, San Francisco, Berlin, Tel Aviv, Singapore, Bangalore, Buenos Aires, Mexico and Rio de Janeiro. The tenth city will be London, where the company has already picked founders, whose names are going to be announced publicly very soon. Coca-Cola chooses the cities with “either the most established or the fastest growing startup communities,” Butler explained. Among the assets, access to which the founders get, Butler listed the corporation’s reach, resources, and relationships. In addition to that, the platform itself can be seen as a network of successful entrepreneurs who can help each other and share some resources, including expertise and talent pool. Talking about examples of how Coke helped its Founders, Butler mentioned a Brazilian startup called Winnin, which has created a web service for human-curated playlists with videos from different distribution channels. “What we’d been able to do is connect those people with Winnin from day one, and that really helped them out a lot. They launched it just before the World Cup in Rio, so the Coca-Cola company ran a campaign on Winnin around the World Cup, they got huge exposure and PR,” Butler said. Another startup, Berlin-based Home Eat Home, is focusing on providing customers with recipes for evening meals together with all the ingredients to cook them. 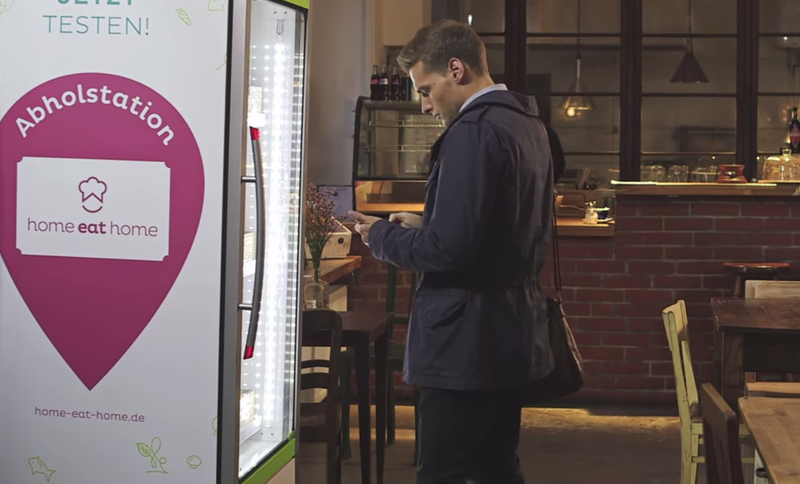 What differentiates the project from competitors is that the groceries can be picked up in one of refrigerators installed throughout Berlin — and that’s where Coca-Cola was able to help out. What Coke receives back from the startups participating in the Coca-Cola Founders platform is fast and inexpensive access to new technologies and new markets. In case of Winnin, the company got an opportunity to run a native advertisement campaign targeted at teenagers in Latin America. Home Eat Home, meanwhile, is working on technology that allows the contents of refrigerators to be remotely managed over the internet, which Coca-Cola might use in the future for its own coolers. Same as any other investment body, Coca-Cola hopes to get a return on the money injected in the startups at some point, but Butler points out that it’s too early to say that the model it has employed is the silver bullet for corporations to embrace startups. “We made a commitment to learn by doing,” Butler said. “We fully intend to make mistakes, and pivot, and change, and so forth. We’re not taking a victory lap here, no one’s saying we’re proven successful. There was no model that we followed, there was no other company doing this, we didn’t read a book and come up with this.